If you're still digging your car out of the driveway or street, you're not alone. D.C.'s snow emergency will be lifted this morning, but a record 16.4 inches of snow hit the D.C. Metro area Saturday. That beats the previous record of 11.5 inches set in 1932 for largest December snowfall. Officials still say if you don't have to go out, don't. The federal government is granting non-emergency employees excused absences Monday. Emergency workers are expected to report, and telecommuters may be asked to work from home. The District Government will open on time this morning, with liberal leave policy in effect for non-essential personnel. Several school districts also are calling off classes and activities for Monday. Check here to see if yours is among them. Metro has reopened and Amtrak said most Acela trains will operate as scheduled Monday, but some regularly scheduled Amtrak trains in the Eastern region will be canceled. There is still a lot of cleaning and clearing up that needs to be done in the District and the surrounding suburbs to dig the region out from the storm that began late Friday evening and finally tapered off by 11 p.m. Saturday. For those who are shoveling, NBC4 meteorologist Chuck Bell suggested pushing the snow. "Don't dig," he said. 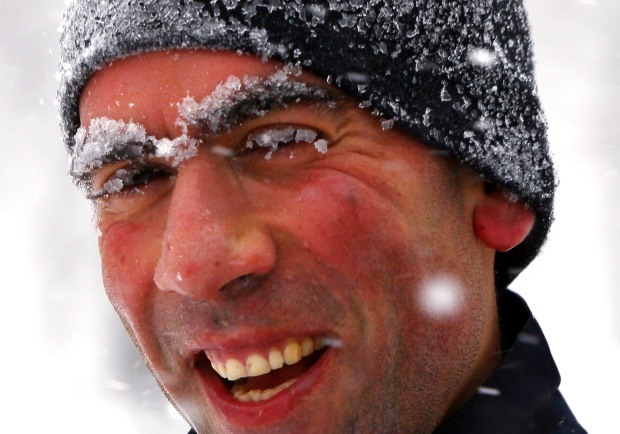 "Shoveling snow is a strenuous exercise... take it slow, lift with your knees not your back." If you're braving the local roads, get ready to steer very carefully, especially on smaller streets where the snow has been packed down and is harder to drive through. In Georgetown, the roof of a townhouse collapsed under the weight of the snow. Luckily, it is under renovation and uninhabited. A high of 29 degrees accompanied the storm, as did significant wind gusts causing blowing and drifting snow. The sun came out Sunday, but it was still cold, with a high a few degrees above freezing. And Monday will be the same, so expect a lot of black ice on the roadways. The snow is likely to stick around for Christmas, as highs aren't likely to get much higher than freezing throughout the week, and there is a lot of the white stuff to melt. It could be a mostly sunny week, but another front might dump some wintry mix on the area on Christmas Day. It doesn't look like it will be snow, but possibly some freezing rain and/or wintry mix. The storm was part of a huge system moving up the East Coast and affecting travel from Florida to New England. So any and all holiday travel -- as well as any holiday shopping -- on the East Coast has been problematic for many this weekend. By late afternoon Saturday, many shopping centers, Tysons Corner, Fair Oaks Mall and the Fashion Centre at Pentagon City, had closed their doors because of the snow. The storm may have put the kebosh on consumer spending, but it was a welcome respite for others, who took the day to play or sled like kids in the snow. The last major blizzard that hit D.C. was the Blizzard of 1996, which happened in January and "paralyzed the East Coast." It covered the Washington with 17.3 inches of snow, according to the National Weather Service. There were three deaths in Virginia that were blamed on the storm. One person was killed in a traffic accident caused by slick roads, and authorities told the AP that the weather may have contributed to another traffic death there and a third death is believed to have been caused by exposure. The storm also left several people in the dark. Pepco reported that about 400 customers were without power, BGE has about 89 power outages, Dominion reported around 400 and and Novec had seven outages. 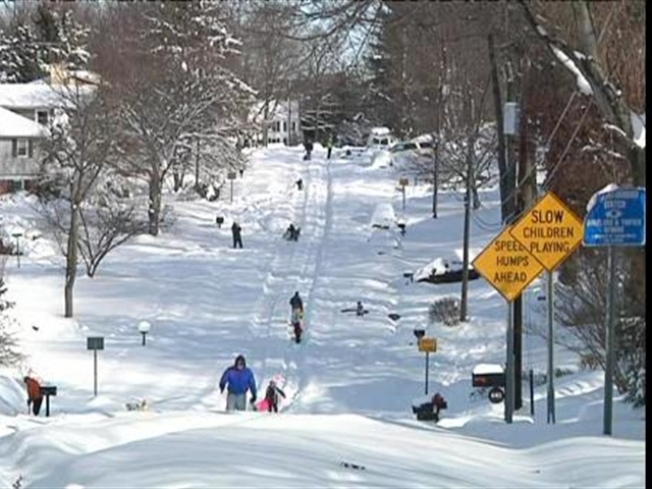 If you take pictures of the snow, feel free to share them with News4 viewers and NBCWashington.com visitors by e-mailing them to isee@nbcwashington.com.